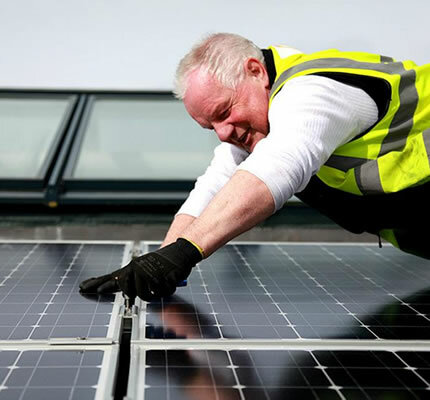 PV Energy is a premier solar energy system from the solar energy specialists, Solar Technology International Ltd.
At PV Energy we don't supply double glazing, kitchens, garage doors or even solar hot water systems. Our 100% focus is the supply and installation of our unique PV Energy solar system. You can be assured that you will benefit from tried and tested materials, with substantial warranty periods, installed by our leading team of professionals and supported by our highly qualified service advisors, all whom have in depth knowledge in solar PV Energy. Please watch the time lapse video below showing one of our installs.